BOSCH CP3 Fuel system with SOLENOID injectors. Injector hold-down bolts: 37 lb-ft.
Injector return-line bolts: 106 inch-lbs. Fuel return Banjo bolt to head: 12 lb-ft.
Injector wiring harness bracket: 80 inch-lbs. 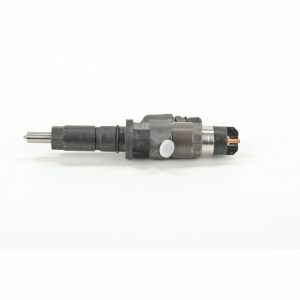 Injector terminal connectors: 18 inch-lbs. Upper valve-cover bolts: 71 inch-lbs. NW Fuel offers injector lines (also called jump tubes), installation gaskets, seals, and o-rings, glow plugs, fuel pressure regulators, return line banjo bolts, and many other complementary parts for this truck. 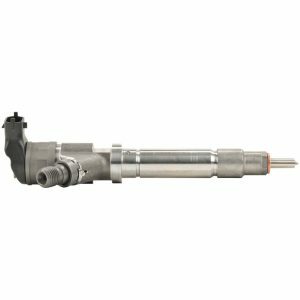 *NOTE* Injector installation torque is critical to injector life and performance. Ensure the injector bore and injector seat are SPOTLESSLY CLEAN before installing. Debris/carbon can prevent injectors from sealing correctly which can create leaks or poor running complaints. 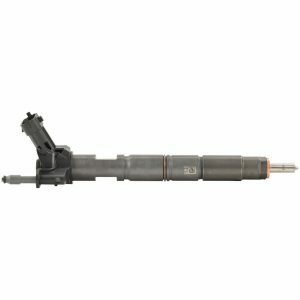 Injector hold-down bolts: 22 lb-ft.
Fuel Injector fuel pipe nut: 30 lb-ft.
Fuel Injector fuel pipe bracket bolt: 15 lb-ft.
*NOTE* These injectors have TRIM (IQA) CODES that will need to be programmed into the ECM with a Scan Tool. Ensure the ECM has the correct trim codes programmed to get the longest life and best performance from the injectors. Contact us anytime if you require assistance. BOSCH CP4 Fuel system with PIEZO injectors.